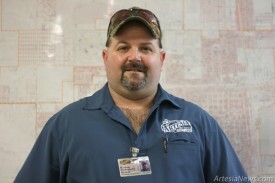 Mike Christensen has only been serving as building inspector for the City of Artesia since October, but what the job entails is nothing new for him. “It just kind of falls in a little different category,” Christensen said. “Overseeing things and making sure it is done the right way like it is supposed to be done. It’s pretty much the same thing as running work.” … For the rest of the story, subscribe in print and on the web.